Your pace. Your terms. Fully secure. 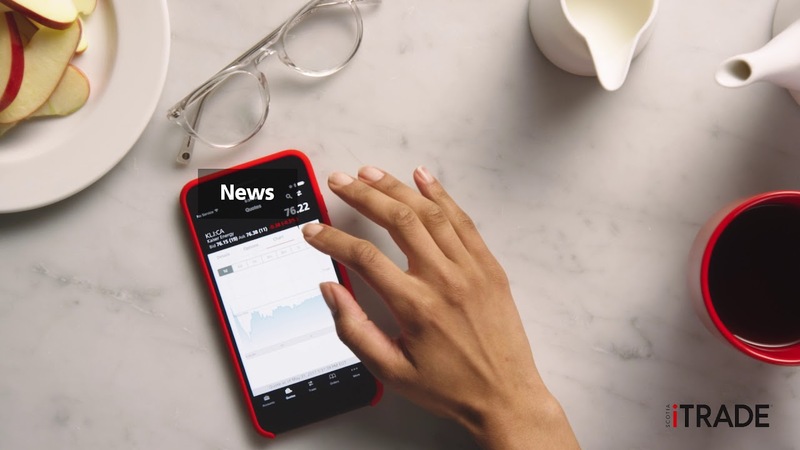 View your watchlists and check news from your mobile device and trade anytime, anywhere with our Scotia iTRADE® app for mobile. Discover how the Scotia iTRADE app for mobile can help you trade on the go. iPhone and Apple Watch®* is a trademark of Apple Inc., registered in the U.S. and other countries. App Store is a service mark of Apple Inc.